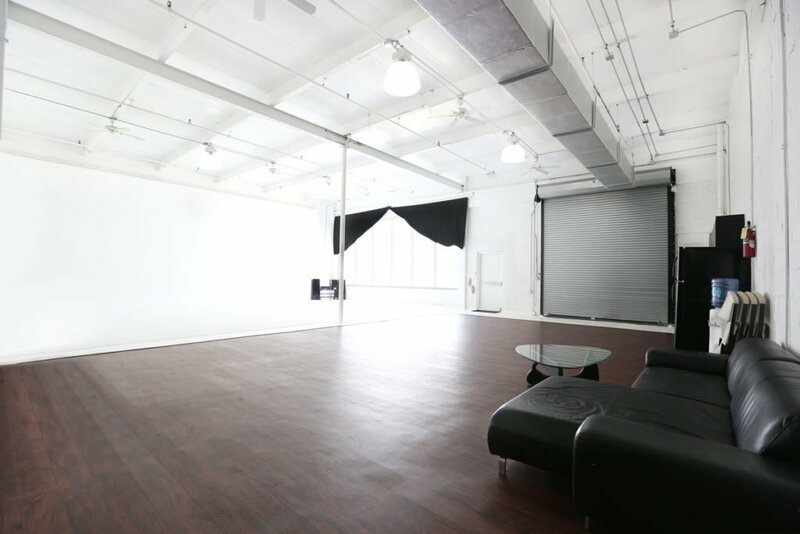 Studio A is a spacious 2,200 square foot shooting space perfect for any photo or video shoot. 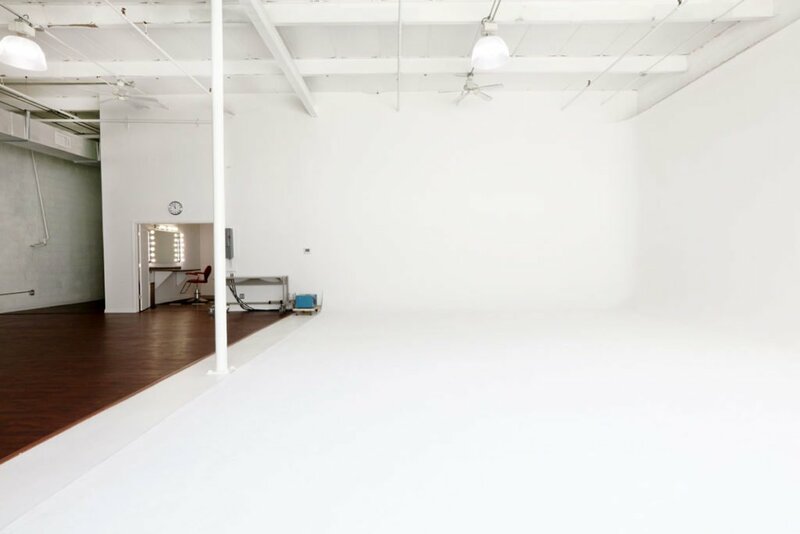 One of the main focal points of this daylight studio is the 24×10′ wall of windows flooding the cyclorama with beautiful Northern light. 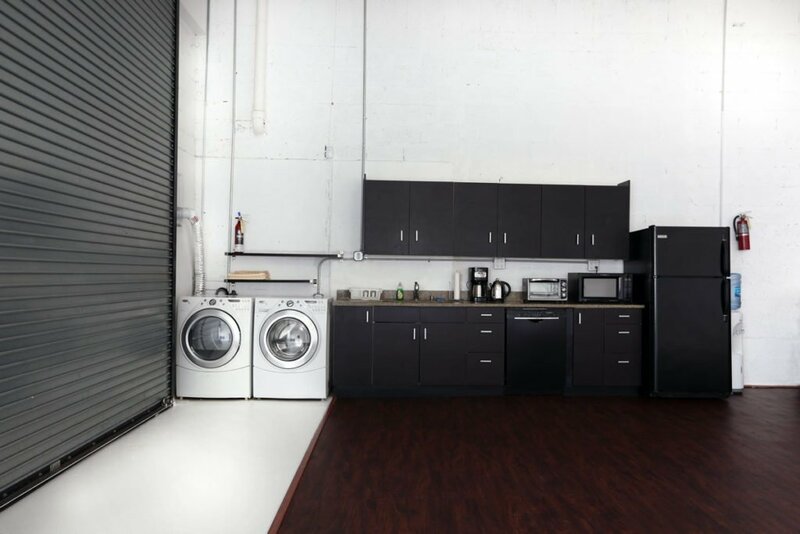 This professional studio space is packed with amenities; which include a modern appliance-packed kitchenette stocked with dishes and utensils, a washer and dryer, a stylish sitting area and a booming sound system. Another great feature and convenience is the 11×11′ roll-up garage door for drive-in access which is large enough for almost any prop or vehicle to fit comfortably inside along with an easily accessible and secure back lot that has ample room to fit up to four motor homes. In addition, there’s an in-studio private makeup/styling room fully equipped with rolling racks and professional steamer. And don’t forget, there is also the added convenience of the on-site professional photo equipment rentals and supplies and a knowledgeable staff to assist with all your needs.